Go ahead and use your fingers to sample these tidbits, we all know they taste better that way. Salads with a difference. Crunchy raw vegetables in combination with spicy freshly cooked meats, set off out special dressings with the zest of raw chilli. We are pleased to temper the to your teste. 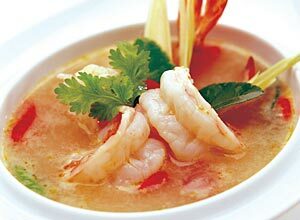 In Thailand soup is served in individual bowl and usually eaten as part of the meal. However, it's quite alright to enjoy oup as a saperate caurse. The choice is yours, no eyebrows will be raised. With the combinations of Thai chilli, Herbs, Coconut cream, and traditional cooking technique that build up the unique flavored curry which you would never want to miss it. 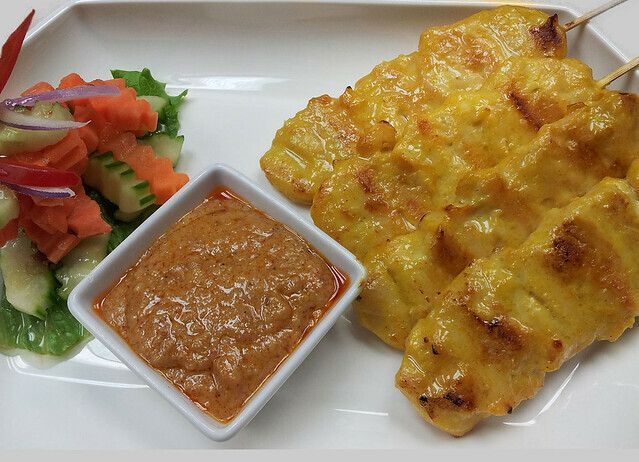 "The most popular Thai noodles dish. 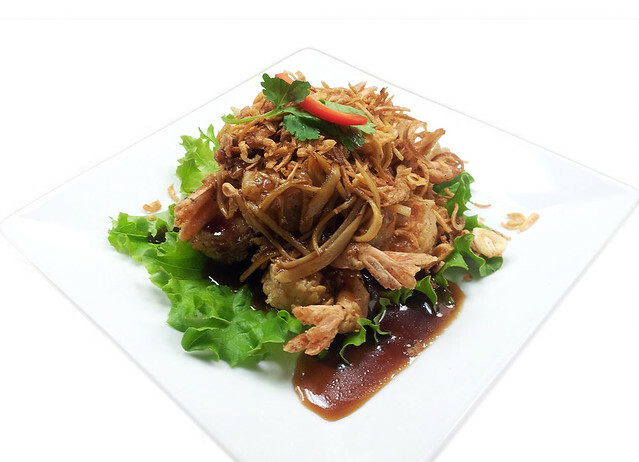 Rice noodles with fresh chicken, bean sprouts, ground peanuts egg and tamarind sauce." There are some hidden enjoyable items on the menu, Banana fliter Icecream, Sticky rice with mango, and more , will finish up your meal perfectly.